Whether you receive a package that’s being sent to you via courier or you have several items being ordered from a company selling your favorite products, chances are you are given a delivery receipt to be signed along with those things. 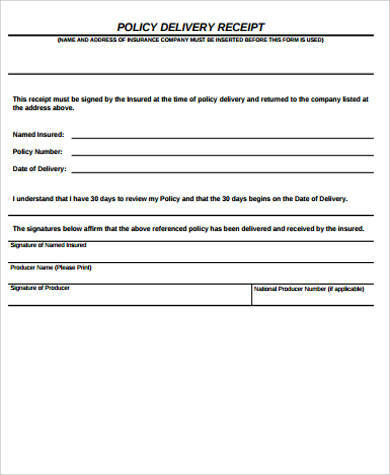 A delivery receipt is a document that is given to you as proof that you have received the items and have taken possession of it. 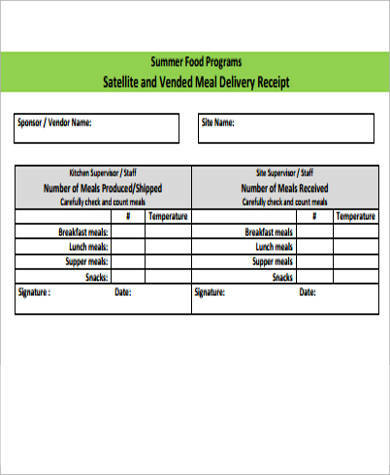 Our Delivery Receipt Samples come with a variety of specific items that indicate several standardized forms used primarily as formats for delivery receipts. These are all free to edit according to user specifications and can be printed for use as your own delivery receipts. 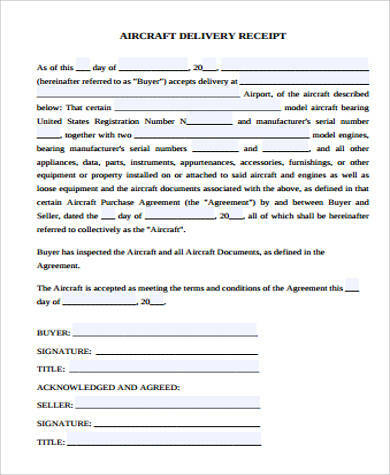 Most companies that transport goods and items nowadays require a signed delivery receipt, especially when the items are found to be valuable. This is so that the intended recipient is really the one who received the items, otherwise the courier would be held responsible and be embroiled in possible legal complications. 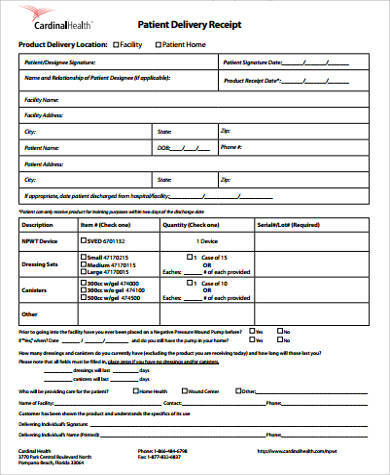 In some of the samples presented here, large items like a vehicle delivery have their own delivery receipt format that takes on the form of a letter that states the nature of the transaction. These are different from small items and food delivery receipts. A vehicle delivery may consist of any motorized vehicle like a car, truck, motorcycle, and even a private plane. 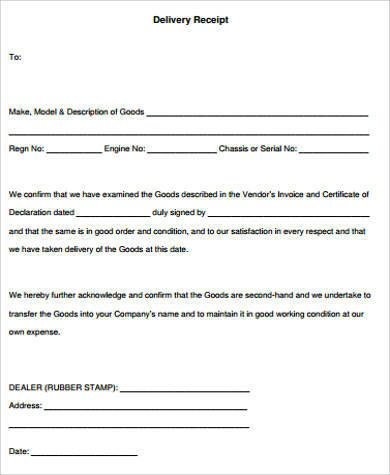 Those are the necessary details that need to be filled out on the delivery receipt before a complete handover of the vehicle can be executed. 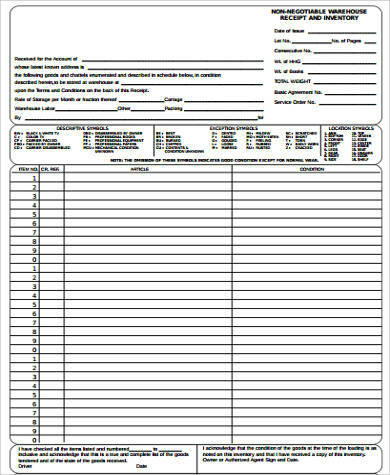 For a few more samples that can be downloaded and printed for use, check out our Free Printable Receipts that come with a variety of forms that you can choose from depending on the item. We also have Donation Receipt Samples for those who need to use and issue donation receipts. 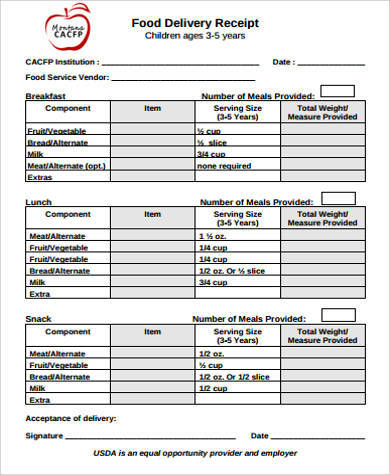 Our delivery receipt samples come in convenient, practical, and easy to use formats. These are all functional and can be used for different kinds of delivered items. 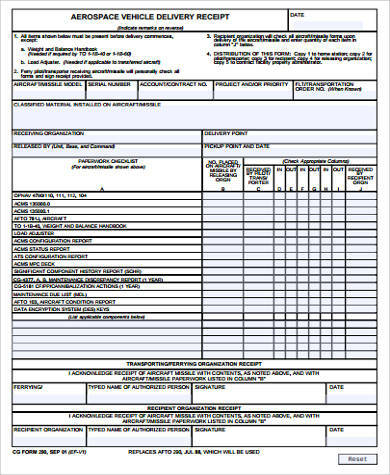 Like sales invoice formats, different kinds of items may require unique kinds of delivery receipts. 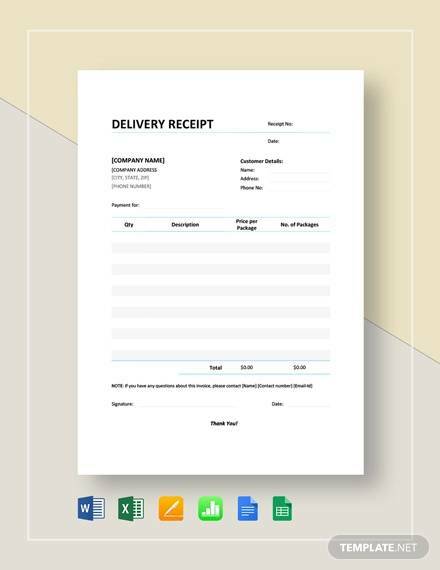 For companies who make deliveries their business like famous courier names we see delivering items almost every day, they have a built-in software in their respective company’s system that automatically generate and print a standardized form of delivery receipts. They have the type of software that automatically create delivery receipts based on the items being encoded in the computer. This is normally done to save on time, cut costs, and improve efficiency of delivery. For those who need to customize their receipts and put on a company logo or make other forms of editing or modifications, our website offers a couple of Receipt Samples in Word that’s easy to make changes to on the receipts. 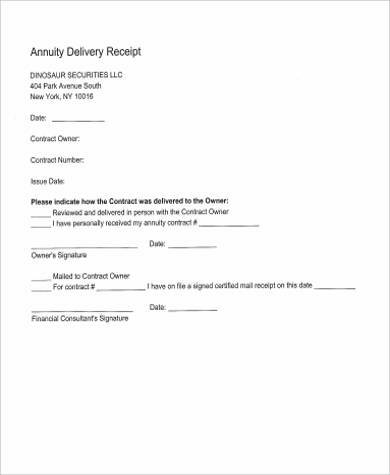 Some businesses usually have Microsoft Word Doc formats on their computers, and these receipts come easily downloadable and can be printed immediately after customization.